The transformation process in Central and Eastern Europe (CEE) after 1989 is often clothed in terms of historical and geographical categories, either as a 'return of history' or as a 'return to Europe', or both. Either way, the radical right in CEE claims a prominent place in this politics of return. Studies of the radical right echo the more general concern, in analyses of the region, with historical analogies and the role of legacies. Sometimes parallels are discovered between the post-1989 radical right and interwar fascism. They imply a 'Weimarization' of the transformation countries and the return of the pre-socialist, ultranationalist, or even fascist past the 'return of history'. Another interpretation argues that since some CEE party systems increasingly resemble their West European counterparts, so does the radical right, at least where it is electorally successful the 'return to Europe'. A third line of thought states that the radical right in the region is a phenomenon sui generis, inherently shaped by the historical forces of state socialism and the transformation process. As a result and in contrast to Western Europe, it is ideologically more extreme and anti-democratic while organizationally more a movement than a party phenomenon. This book provides insight into the role of historical forces in the shaping and performance of the current radical right in CEE. It conceptualizes 'legacies' both as a contextual factor, i.e. as part of structural and cultural opportunities for new movements and parties in the region, and as textual factors, i.e. as part of the ideological baggage of the past which is revived and reinterpreted by the radical right. 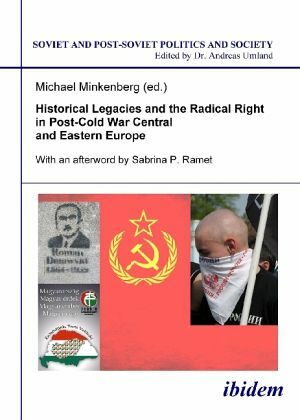 An introductory essay by Michael Minkenberg puts the topic and the concept of legacies into a larger research perspective. 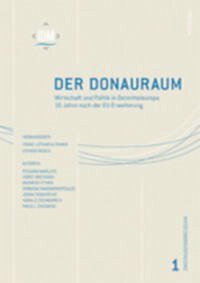 Articles by Lenka Bustikova and Herbert Kitschelt as well as John Ishiyama employ the role of legacies as context, whereas the contributions by Timm Beichelt, Sarah de Lange and Simona Guerra as well as James Frusetta and Anca Glont treat legacies as text. The editor: Michael Minkenberg studied political science, history, and economics in Heidelberg, Freiburg i. Br., Bonn, and at Georgetown University in Washington DC. Currently, he is professor of comparative politics at the European University Viadrina in Frankfurt/Oder and holds the Max Weber Chair for German and European Studies at New York University. He is the author of, among other books, The Radical Right in Europe: An Overview (Bertelsmann 2009) and Die neue radikale Rechte im Vergleich: USA, Frankreich, Deutschland (Westdeutscher Verlag 1998). His articles have appeared in many international journals such as European Journal of Political Research, Comparative European Politics, West European Politics, East European Politics and Society, Comparative Political Studies, and International Political Science Review. The author of the afterword: Dr. Sabrina P. Ramet is Professor of Political Science at the Norwegian University of Science and Technology, Trondheim.